We are offering an excellent quality of PCD Franchise of Ayurvedic Products to our clients. Vitawin offers career opportunity in Pharma Franchise Marketing. We welcome you to enjoy the complete monopoly rights and establish yourself. We offer PCD Franchise or PCD Distributorship for wide range of products throughout India and abroad. We provide business opportunity in form of PCD franchisee of Ayurvedic product; we have effectively standardized our strategies for Marketing PCD products.Vitawin offers career opportunity in Pharma Franchise Marketing. We welcome you to enjoy the complete monopoly rights and establish yourself. We offer PCD Franchise or PCD Distributorship for wide range of products throughout India and abroad. · A wide range of Ayurvedic medicinal & OTC products. · Exclusive branded Ayurveda products for PCDpharma offering. · Product Efficiency and Reliability. 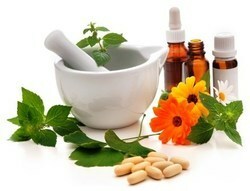 · An Herbal Healthcare unit with FDA approved GMP Manufacturing Unit. · Having in-house Research and Development led by an enthusiastic research team. · Huge Production Unit with potent Production Capacities,Equipped with the latest machinery in pharmaceutical production.Employs state of art technology. · Ayurveda Company to have been granted, the International Certification in the form of ISO 9001 - 2000, G.M.P. and FDA Certifications. · Over 25 Vaidya’s and Doctors who provide training & consultation to doctors & patients. · Large Product Range,Over 200 Products including ,Patent medicines, and Food Supplements ,nutraceutical etc. · Experienced Professionals,Highly experienced and qualified doctors/ Vaidya’s direct the production of our drugs. We are ayurvedic manufacturing organization situated in Gujarat, India. Our work has been perceived all inclusive and we have a long term pcdand contract manufacturing of pharma products with many known institutions. Ayurveda is the time tested science of ancient India to prevent and heal various aliments using the natural herbs and diet. It emphasizes on the harmony of mind, spirit and body to cure diseases. Moreover, the stress is on prevention rather than cure.